I am so excited to inform you that InjusticeOnline.Com is celebrating one year online. That’s right, one year ago, I registered the domain and “started” reporting on all things Injustice: Gods Among Us, including the comics, the console and the mobile games with occasional articles focusing on other DC Comics products, like movies and TV series. I want to thank each and every one of you for joining me on this adventure and for sending me countles messages with valuable feedback and suggestions. I appreciate each and every one of them and am sorry for not always being able to respond fast enough. You probably noticed the way started is written above. This is because I would like to use this opportunity to tell a small portion of the history of the website. 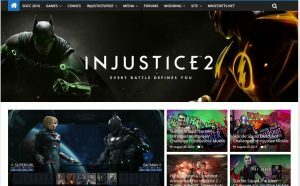 InjusticeOnline.Com might only be one year old but its roots are even older than the Injustice franchise itself. So how did the whole thing started? Those of you who are familiar with our Network might also know and love MKSecrets.Net, one of the oldest (16 years and counting) and most popular Mortal Kombat websites out there. 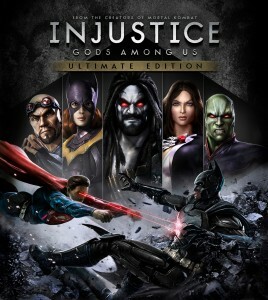 What has all of this to do with InjusticeOnline.Com you might ask. 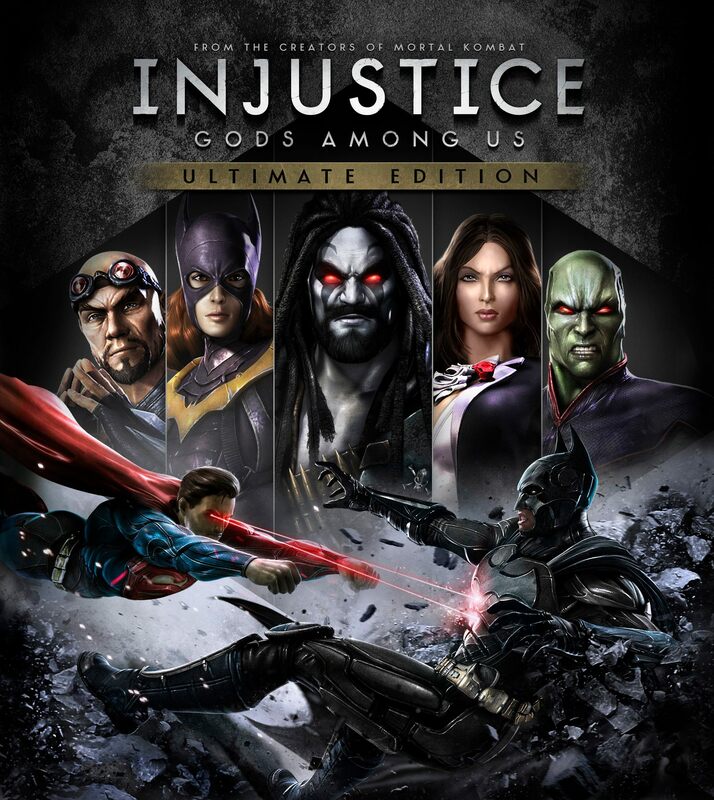 Well, what you currently know and love as InjusticeOnline.Com started as part of MKSecrets.Net in the moment the console version of Injustice: Gods Among Us was announced several years ago. So, you see, we have actually been there since the very beginning. In fact MKSecrets.Net still contains the entire development history of the first game. A content we still plan to migrate. 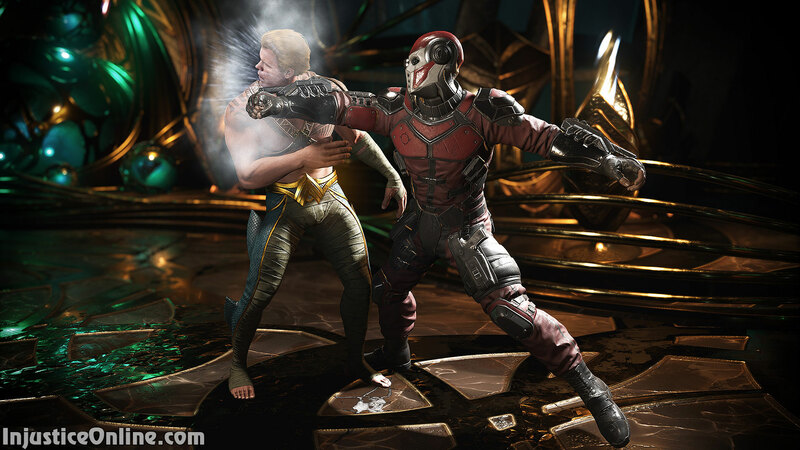 The fact that a Mortal Kombat fan site is covering a non Mortal Kombat game split our community in half, part of the fans were happy we are covering the game, the other half saw Injustice as something that kept us away from developing the Mortal Kombat part of MKSecrets.Net. Lets jump to August 2015, shortly before the launch of InjusticeOnline.Com. For the fact that it is maintained from only a few people, MKSecrets.Net is a very successful site and has delivered exclusive content, breaking news, articles and videos on many occasions. But over time the site has also started to show its age. Its propitiatory written by myself engine is still incredibly fast delivering fresh generated pages in milliseconds but its further development and expansion proved a challenge for one single person. So features I wanted to have in the site either arrived late due to my personal lack of time or not at all. At the same time I started to ask myself, whether I can repeat the success of MKSecrets.Net in some form ever again. 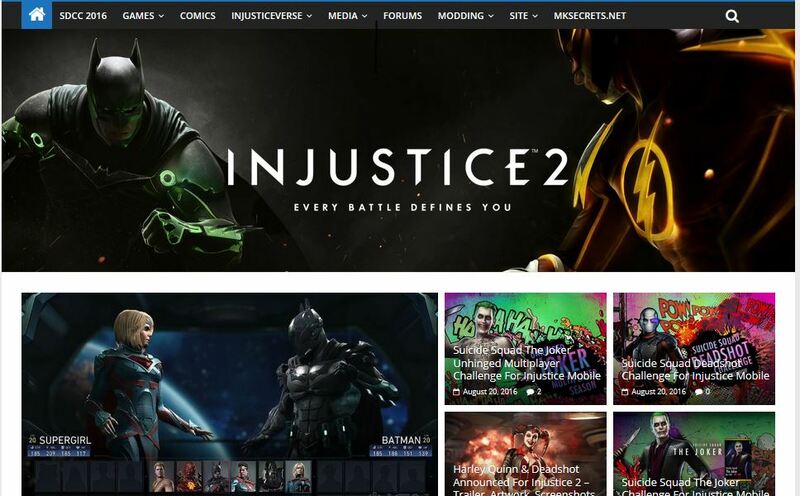 So the desire to play with the latest and greatest technologies, the split community we tried to keep under one roof and the feeling of Injustice 2 announcement being around the corner (the feeling turned out to be right) led to the decision to split the coverage of Injustice in what is today known as InjusticeOnline.Com. Starting from scratch gave me the opportunity to create a much more advanced and feature rich website, build from the ground up to support multiple devices and to also better define a future direction for MKSecrets.Net. But I didn’t just want to create the next gaming blog out there. The site exists in one network with MKSecrets.Net sharing its forums, YouTube channel, Facebook, Twitter, Google Plus pages and user accounts and we will see much more integration inside our network in the near future. So how did we do this first year? Lets say it up front, we still have a long way ahead of us and I am excited to walk with you through every step of it. The first few months were kind of slow with only several thousand page views per month. Not very encouraging for a guy who was used of having numbers with five, six or seven digits in the statistics. But if I have learned anything over the years, it is patience. You have to give a child a chance to grow and find its own place in the world. something happened. It was a single post, a fairly unimportant at first I might add. The post exploded over night and helped me once again see the potential of the site. After this, our stats have been getting better and better each month which really makes me proud. We are still far behind MKSecrets.Net but comparing them would be the same as comparing an old classic movie with this summers’ blockbuster. They are both great, but the second one needs to withstand the test of time. 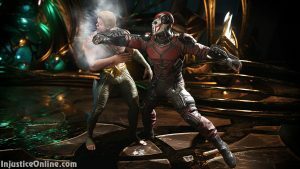 During this first year the site turned into the go to place for Injustice Mobile, its challenges and characters. We hope to achieve this for Injustice 2 as well. 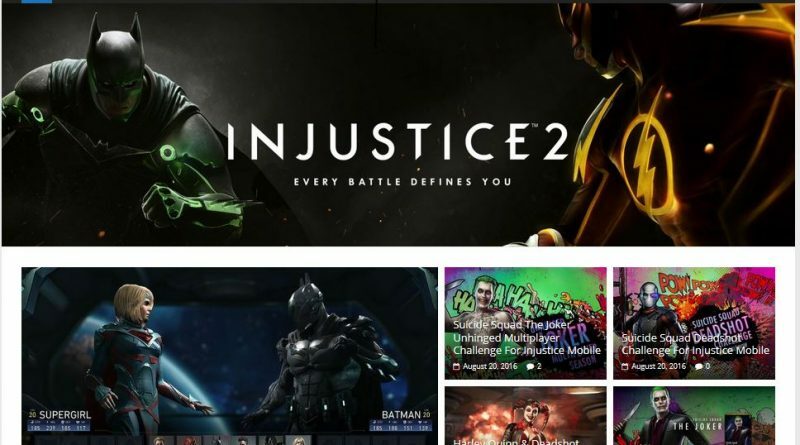 Now before this post gets too long, I would like to end it with a big thank you for visiting InjusticeOnline.Com and motivating me to keep this place running and further expand our network. I hope you are all here to stay. Until next time.